Hello my lovely friends! How are you? 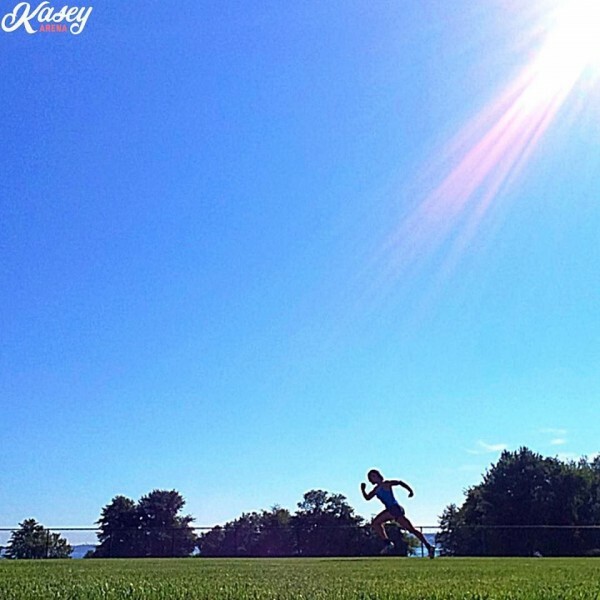 It was a gorgeous weekend here which called for some sprints, ocean, & sunshine. I did a live periscope right after where I challenged everyone to do something outside of your comfort zone this week and tag me @Powercakes & #SCOPECAKES. 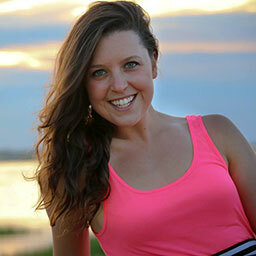 I want to see you try something new! Speaking of trying new things – to kick this week off I wanted to share with you my delicious July Edition of Fit Snack Box! Each month I get a Fit Snack box delivered and it’s sort of like Christmas morning being that it is a total surprise to what you get. 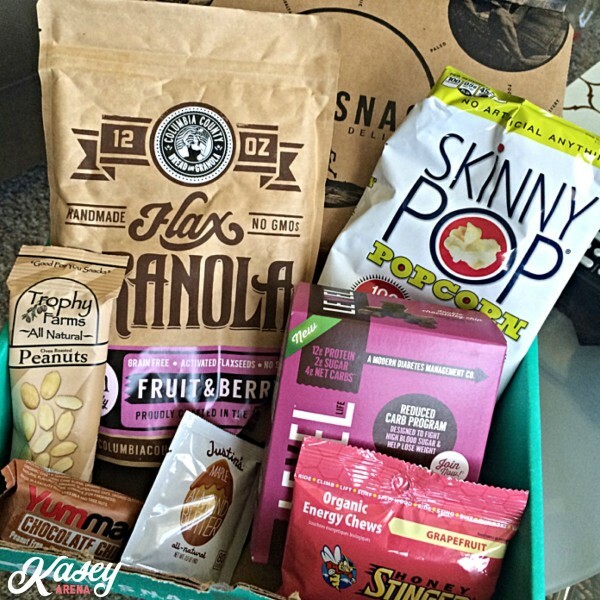 If interested in signing up for the monthly box click here —-> [Sign Up For Fit Snack Box]! This months was full of some goodies including honey stingers, bars, peanuts, Justin’s almond butter, popcorn, & a few stand outs that I couldn’t wait to dig into…. 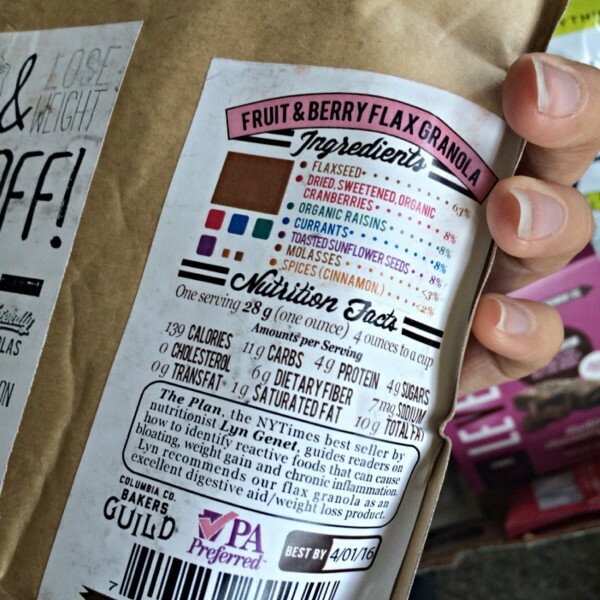 GRANOLA! I am a granola-junkie and love it on yogurt or with milk. This Columbia County granola was awesome & hit the spot. 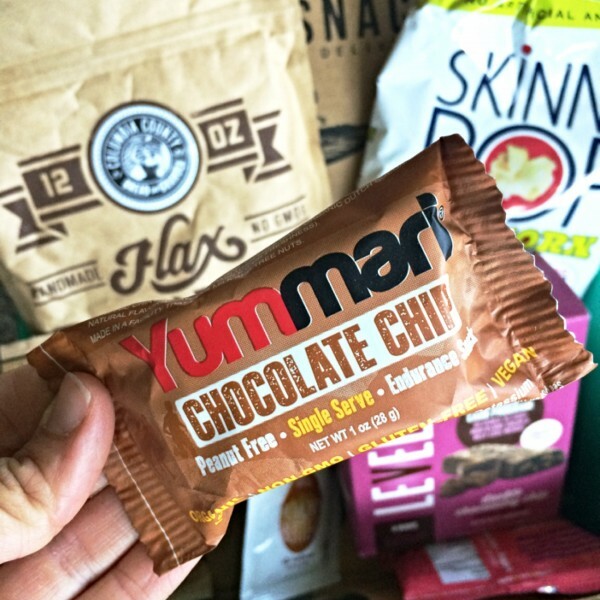 Then the Yummari Endurance Chocolate Chip bar caught my eye which would be great before or after a workout. Thank you Fit Snack for making every month have a hint of surprise to it. You rock! I’m off to get ready for my LIVE PERISCOPE at 12pm EST – join me @Powercakes! Wedding & [September 14] Weekend Recap! 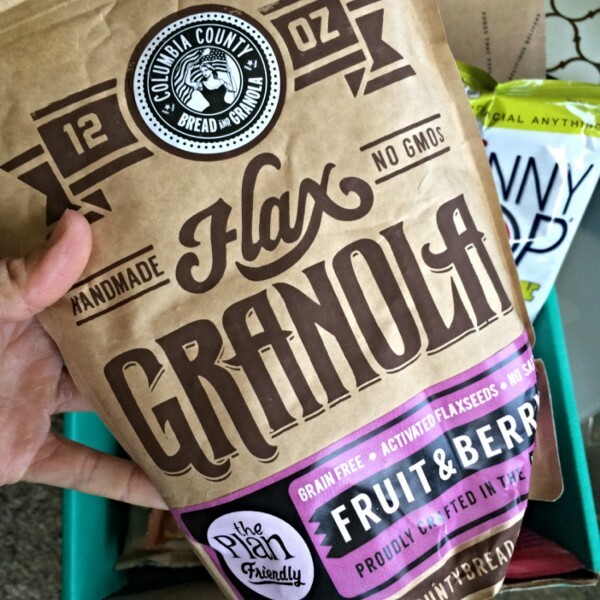 ALL of these snacks–especially the granola–look delicious! What an excellent idea. I love trying new snacks and think this is a brilliant way to do it. Thanks for sharing these all look fantastic.